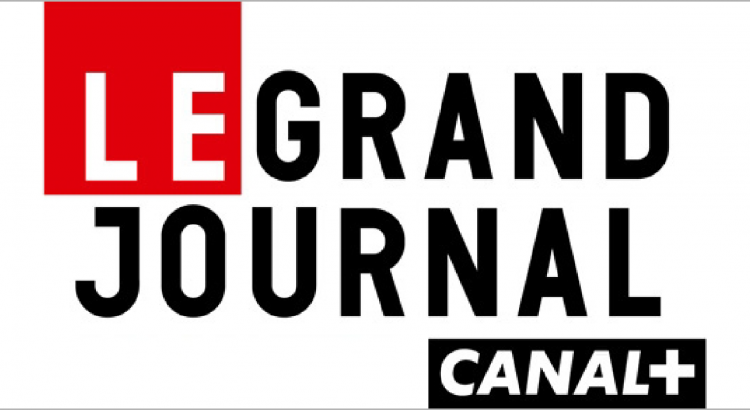 Following the launch of the $12 billion International Arbitration Claim against the Russian Federation, Sergei Pugachev appeared on a popular French nightly news and talk show Le Grand Journal, broadcast live on the premium television channel Canal+. It was announced yesterday that Sergei Pugachev filed a claim for 12 billion dollars against the Russian Federation for the expropriation of his assets. This is a declaration of war to Vladimir Putin at the expense of an obvious personal risk. So who is that man, Sergei Pugachev? Formerly one of Putin’s closest advisers, known as the “Kremlin’s banker”, now fallen out of grace. In the 90s his bank manages the fortune of Russia’s President Boris Yeltsin. In the 2000s, under Putin, Pugachev still owns his bank, but also counts among his assets shipyards in Petersburg, coal mines in Siberia, and… a Senator’s seat at the Federal Council. An interesting mixture of genres, combining business and politics… but for someone on friendly terms with Vladimir nothing is a problem. In France Pugachev acquires the Hediard for himself and France-Soir for his son. But towards the end of the 2000s the wind changes and a cold draught begins to blow from Russia. Pugachev’s bank is declared bankrupt, Hediard and France-Soir fare little better. Pugachev is forced to cede his shipyards, but, most importantly, the Russian judiciary opens a case against him for embezzlement and misappropriation of funds. Pugachev leaves Russia and moves to London, takes French citizenship, and then goes to Paris. His lawyers, having recently gathered in Paris, declared that their client is in danger. In danger, but also wanted by the police. Interpol, the international police agency, has issued an international arrest warrant against the former Russian billionaire, valid in 190 countries, including France. Sergei Pugachev, the man who has defied Vladimir Putin himself, is our guest today. – Good evening and welcome! – Thank you. Good evening. – Filing suit against the Russian Federation is tantamount to suing Vladimir Putin, isn’t it? – Well, no, I did not sue Putin. I have filed a claim against the Russian Federation, based on the international agreement between Russia and France, since I am a French citizen. – But you have said, nonetheless, that there is no such thing as private property in today’s Russia. There are only serfs that belong to Putin. And you also said that when Putin says he wishes to acquire something, you cannot tell him that it is not for sale. – It all was taken away. – Expropriated, all of it. – I would like to list a few names that will be familiar to you, and some of which are also familiar to us: Boris Nemtsov, Aleksandr Litvinenko, Anna Politkovskaia, Boris Berezovsky… They all have in common that they stood up against Vladimir Putin and ended up assassinated. Are you not afraid? – …found explosive devices under all of my cars. …Well it is difficult to say. But I think that this was at least a message that I should leave London. All the lawyers, the whole team fighting against Russia, were based in London at that time. – You were once very close to Vladimir Putin. You even say that you brought him to power. What can you say about the man, that would not be known already? It is very difficult to get close to him, I believe. What have you learnt about him, having known him intimately? – Yes, of course, after having known him intimately for such a long time I have considerable information. But I think it is actually a current trend, a trend of Putin’s Russia, when under difficult circumstances a “re-mapping” of property is taking place. – So would you say that Vladimir Putin is after money, increasing his fortune? – But this is a rhetorical question. – A question that requires a simple answer: yes or no? – I would say yes. – Do you have any evidence? – I have known him for fifteen years, that is all. – But do you have any compromising information? – I could say so, yes. – And are you planning to make it public at some point? – No, I do not think so. To a large extent this is an essentially legal and financial dispute. I would not say that there is any degree of personal intrigue… or a threat to disclose some kind of information. – Your fortune was estimated at 2 billion dollars. Your assets in the UK have been frozen. Did you have assets elsewhere? – My assets amounted to 15 billion dollars. Before the expropriation, that is. And all the rest, in fact, everything that happened afterwards, that was a way of Putin’s entourage to defend themselves. The people who had machinated this expropriation during those five years in order to protect themselves. – Of course I have means. I have a house in France, I have money, I have my children, my family, even my grand-children are all here. They are all citizens of France. – So you came back to France, because France does not extradite its citizens? You are a citizen of France, you have mentioned it at the beginning. This is a question: is this the reason why you came back to France? – Partly yes, and partly no. In the first place, let me tell you that there is no precedent of extradition from the UK either. I came back home to France only after Scotland Yard found explosives under all my cars. – Your story is very similar to what happened to Mikhail Khodorkovsky, who spent ten years in detention, after his company YUKOS was ceized. Now he is living in Europe. Are you in touch with him? – Yes, I saw him in London. I have known him for over 20 years. – And are you staying in touch now? – Well, this does not seem to matter much to you. …In your opinion, what are your chances to win the case before the International Court in The Hague and be paid the money you claim? Khodorkovsky had tried before you, Russia was sentenced to pay 50 billion dollars as damage to the unfortunate owners of YUKOS, who had been expropriated. But this fine remains unpaid. Do you think you will succeed? – I am certain I will. I would even add that I think that one way or another YUKOS too will be paid. Khodorkovsky will, that is. But there are some legal issues at the moment, connected with the fact that the claim was filed in the framework of the Energy Charter. – Well then. We will certainly be keeping up with this case. But I have to say, it is tempting to wish you the best of courage, because it seems that you will need it. At least that seems likely, when you stand up against Putin himself. – Thank you. Thank you very much indeed for inviting me. By the way, it is an interesting coincidence: I have heard only this morning the news about the Mistrals. I built those ships and I signed the agreements in person. They were built in my shipyard, which was then expropriated. – You see, it all comes together. Many thanks to you for agreeing to answer our questions.